As the wet season approaches Australia’s Northern Territory and the mercury begins to climb, locals head indoors to...drink. The capital city of Darwin reputedly has some of the best pubs in all of Australia and Mitchell Street is where you’ll find them. Just don’t tell the country’s lorikeets. There's another natural phenomenon that occurs here at this time of the year: Drunken Parrot Season. Yes, flocks of seemingly tipsy red-collared lorikeets (a type of parrot and a sub-species of the rainbow lorikeet) are seen staggering about, falling out of trees, and (much like humans) they apparently get more and more friendly as the haze wears on. Really blotto birds have no fear of humans whatsoever. They're rescued from lawns and roadsides, but are they actually drunk? The best explanation is that the birds are eating tree fruit that has fermented. Apparently, polly is three sheets to the wind. 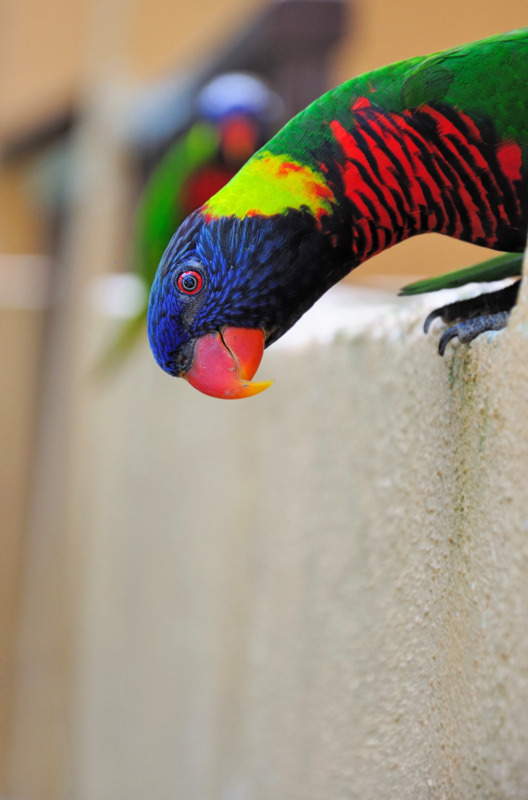 The distinctive bright blue head, green wings and red and orange markings on the neck of the lorikeet make these birds hard to miss—even when they’re not flying under the influence. But the number of lush lorikeets is increasing each year and unlike human benders, binging birds don't just sleep it off: they suffer from a hangover-like sickness that lasts several days and is sometimes accompanied by respiratory problems.